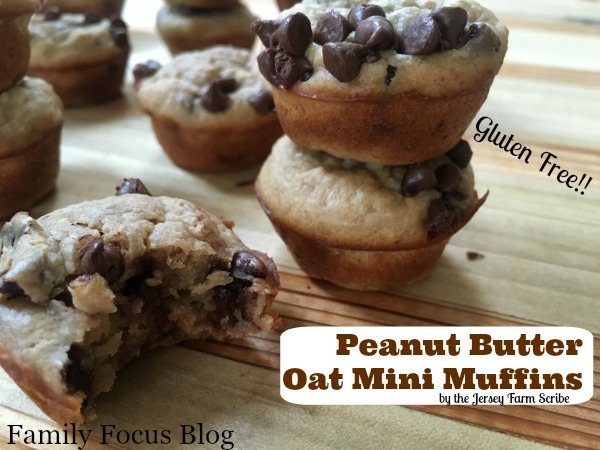 Erika Wassall, the Jersey Farm Scribe, here with a delicious gluten free muffins recipe. 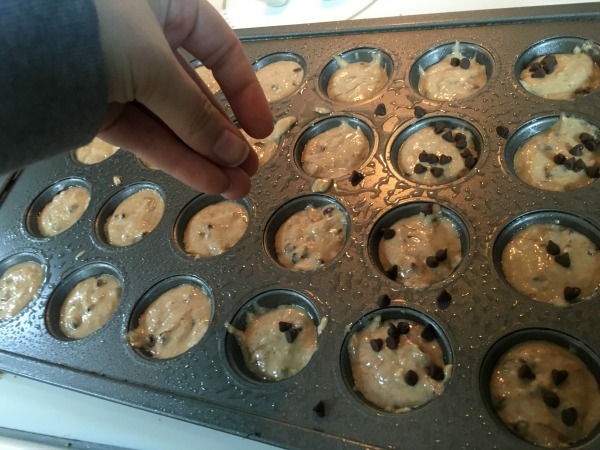 Man, these peanut butter chocolate chip muffins are good… I made 4 batches before I finalized this recipe and I had NO problem with extras!!!! I can’t believe how good these peanut butter chocolate chip muffins are. You don’t even realize it’s made with oats instead of flour. And prep time… only about five minutes. Does it get better than that? I love just love easy and delicious recipes. I’m gonna get right to the point, or else reading this post will take longer than making the muffins and that just seems wrong. These peanut butter chocolate chip muffins are healthy. 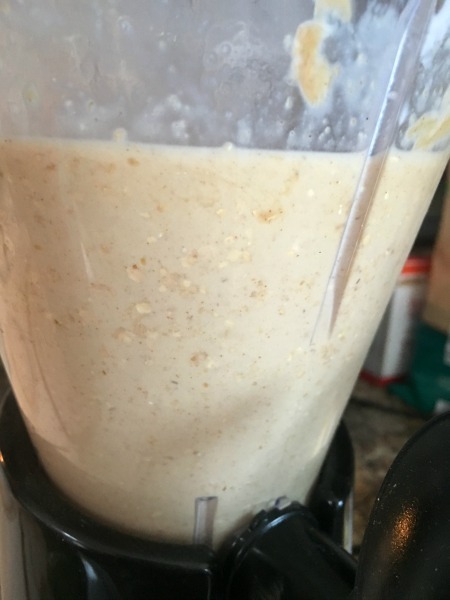 Oats, peanut butter, greek yogurt, bananas and honey are the main ingredients. You don’t taste the bananas much at all. But the peanut butter comes through nicely, just like I was hoping for. I am not gluten free in general. But when I can substitute all the glorious benefits of oats (and yummy flavor) into a muffin that quite literally no one would EVER guess is gluten free… I’m a happy girl with a happy tummy! 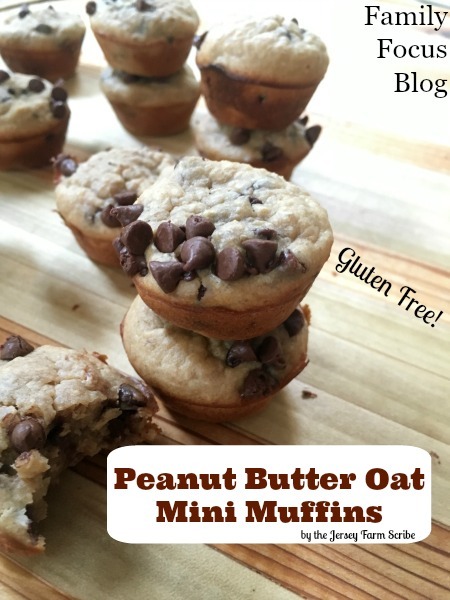 Plus, this gluten free muffins recipe is easy! Literally take all the ingredients (except chocolate chips or walnuts or any additions like that) and throw them in a blender. Nothing fancy. I didn’t even use my Ninja. TIP: If your bananas aren’t QUITE as ripe as you’d like, toss them in the oven, or even microwave for a few minutes to soften and sweeten up! Scoop into an oiled mini-muffin tray. (And possibly top with more mix-ins, because it’s pretty). Then pop in a 400 degree oven. Cook the peanut butter chocolate chip muffins for 9 minutes. Remove and then let the peanut butter chocolate chip muffins sit for at least 10 more minutes in the tray. They’ll cook a bit more here. Pop them out and devour. Mmmm… and DEVOUR we did. 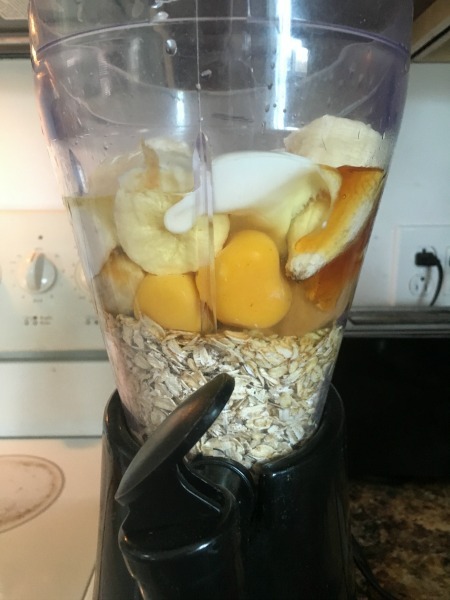 2) Put EVERYTHING (other than add-ins) into the blender. Blend well.